Dental veneers are a gentle and easy way of correcting uneven, misaligned teeth or to correct spacing, chips or cracks in the front teeth area and can create a gorgeous looking smile. Dental veneers, also called porcelain veneers, are thin, custom-made sheets of tooth-colored porcelain. They are designed to cover the front surface of teeth to improve the color, shape, size or length or your teeth. Our dental practice in Spain offers conventional dental veneers as well as non-prep veneers. Both are gentle to your tooth enamel and provide a more aesthetical appearance. Dental veneers are very thin porcelain or composite shells, attached to the front surface of teeth. These fine, nearly delicate veneers are, depending on their use, between 0.8 mm and 2 mm thick. Veneers allow for a gentle reconstruction of tooth enamel and provide a natural tooth appearance. Another advantage of using porcelain veneers for correction and improvement of front teeth is, they do not require extensive shaping of tooth substance prior to placement – just the absolute necessary minimum of healthy tooth enamel has to be removed. Dental veneers are most commonly used for smaller tooth defects in the front teeth area (for example teeth which are damaged by tooth decay or tooth substance which has been lost during an accident) and for aesthetical corrections of discolored, unattractive teeth. Dental veneers are biocompatible as porcelain is well tolerated by the gum tissue. Aesthetical appearance – they look and feel like your own teeth and create a new, beautiful smile. The natural transparency of dental veneers makes them appear natural and lifelike. The dental veneers ceramic surface prevents plaque from forming and the color does not change. Minimally invasive – the placement of dental veneers does not require extensive shaping of tooth substance prior to placement, drilling or injections, thus no pain. 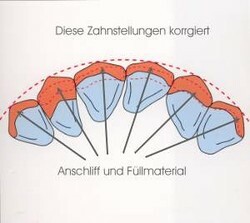 By way of illustration you can see an example of misaligned front teeth which have been corrected with dental veneers. The superior dental veneers – dental makeover without drilling, injections or pain. Non-prep veneers can only be made from specific patented porcelain by Cerinate. This ultra-thin porcelain shell, which is thinner than contact lenses, is worldwide the only porcelain with a clinically proven durability of 20 years. Non-prep veneers can be permanently bonded to your teeth without sacrificing any existing tooth enamel, which is not possible with regular dental veneers. Non-prep veneers are much thinner (between 0.3 mm and 0.5 mm) and can beautify your teeth just within two dental appointments without drilling or injections. They even can be attached to existing dental crowns and veneers. Another added advantage, which conventional dental veneers don’t offer. With non-prep veneers, teeth with unattractive, but functional dental crowns can quickly be transformed to an aesthetical appearance. Teeth, which cannot be whitened any more, offer an additional field of application for non-prep veneers. Here non-prep veneers can permanently replace teeth whitening. Non-prep veneers can be attached within just two dentist appointments without drilling, injection or pain. They are non-invasive - usually little to no tooth enamel removal is necessary and anesthetics or numbing shots are not needed. Non-prep veneers are durable, long lasting and are reversible (if no tooth reduction was necessary when they were first done). They can permanently replace teeth whitening. Non-prep veneers can be attached to existing dental crowns. 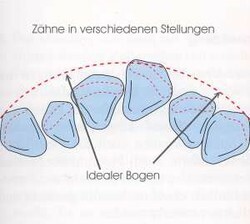 This technique is especially qualified for teeth which have thin tooth enamel. A conventional preparation would involve the removal of tooth enamel which decreases the adhesive effect. Do you want to know more about the amazing field of application of non-prep veneers? Call us now and arrange a noncommittal consultation.